Originally from South Carolina, Dr. Cooper graduated from Duke University with a degree in mechanical engineering and materials science. He completed his medical education at Columbia University and his orthopedic residency at Lenox Hill Hospital, before spending a year in Chicago for a fellowship in adult reconstructive surgery at Rush University Medical Center. 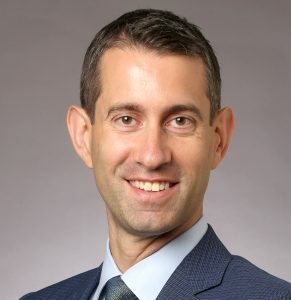 Dr. Cooper currently works as an assistant professor of orthopedic surgery at Columbia University Medical Center in New York City and has considerable experience in direct anterior hip arthroplasty, advanced techniques in knee arthroplasty, and complex primary and revision joint replacement. Dr. Cooper is a well-respected clinician, educator, and researcher; he has published over 70 peer-reviewed articles and book chapters on clinical outcomes and complications of hip and knee replacements and has been an invited and awarded speaker nationally and internationally.